Q: How Many Strawberry Plants Per Square Foot? I planted strawberry plants (June bearing) this spring in a 4×4 foot raised bed. Besides weeding, I have not tended to the strawberry plants, and now, due to all of the runners, it is a mass of plants. Is it okay to leave it this way, or should I remove a bunch of the new plants? Answer to: How Many Strawberry Plants Per Square Foot? If you are asking how many strawberry plants per square foot is best, it is best to thin the plants out so that only about 4 are left per square foot (no more than 6 per square foot). But, don’t toss the extras! You can replant them easily or give them away to friends and neighbors who have a spare pot sitting around. This may help: Transplanting Strawberries. 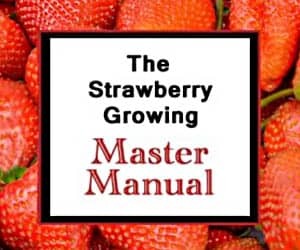 Also, for a host of helpful information on how to appropriately care for strawberry plants, see the reference page on Growing Strawberries. The information on the matted row system may also be of benefit to you. Good luck, and happy strawberry farming! Im a first time strawberry grower. Planted strawberry plants in a container because i had to go out of state for a while. Would rather have them in the ground. Can i still do this and when? Can you plant different kinds of strawberry plants together? 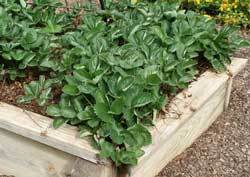 Yes, you can plant multiple varieties of strawberry plants in close proximity. In fact, you can even plan your plantings so that you have early season, mid-season, and late season varieties all planted so that your harvesting window is extended. Live in Bowling Green, VA. Believe it is zone 7b. What everbearing and what annual do you recommend here? See the Recommended Strawberry Varieties by State page.